Home > Putting Markets in Perspective > Economy: U.S.
U.S. growth remains positive, but appears to be “catching down” to the rest of the world. PIMCO’s U.S. outlook has become more cautious, but we still expect positive U.S. growth in the range of 2.0%–2.5% in 2019. While recession risks have risen, we don’t see the same kind of imbalances in the real economy that we have seen in previous recessions: there is no over-borrowing, overconsumption or over-investment. At the same time, financial conditions are now tighter due to a stronger dollar, higher rates, equity market volatility and a tightening Fed. With this backdrop we expect growth to continue, although it will likely be slower than in the recent past. Even as the probability of a recession in the near-term remains low – recession indicators are flashing orange rather than red – we believe investors should look to sectors that are likely to be resilient in periods of higher volatility. One area in which we see a potential opportunity is U.S. housing, where fundamentals remain sound. Demand is outpacing supply, and it remains cheaper to buy a home than to rent one (second chart). These technical factors support our favorable view. With rising volatility and stretched valuations, we believe investors should emphasize flexibility. Rather than relying on broad beta exposures, consider sectors like U.S. mortgages that have solid fundamentals and are less affected by swing factors like politics or trade. 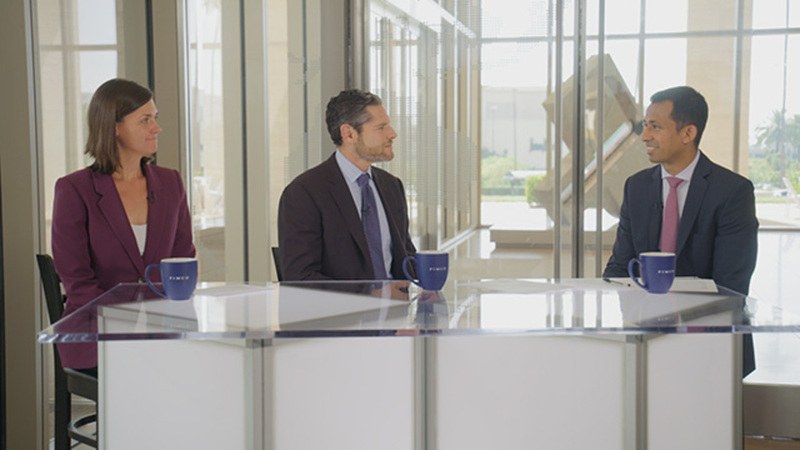 As the Fed continues its gradual trajectory of rate hikes, investors should look for ways to capitalize on new opportunities while remaining defensive. Visit Rise Above Rising Rates for PIMCO’s latest views on interest rates.